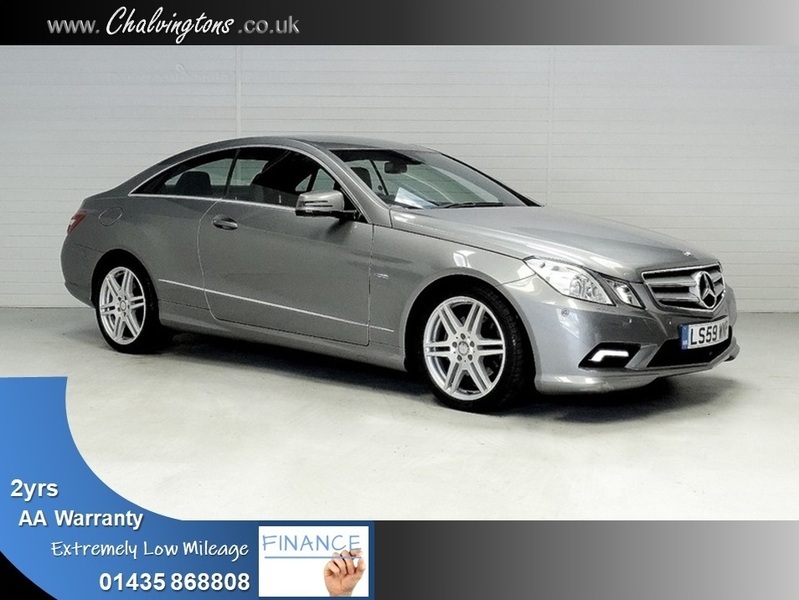 *SOLD* E250 1.8 CGI Sport 204BHP Coupe Automatic, 2 YEARS AA WARRANTY (NATIONAL COVER) + 1 YEARS AA BREAKDOWN COVER INCLUDED! Heated Seats, Full Leather, Front & Rear Parking Sensors, AMG Alloys,Memory Pack, Bluetooth, Palladium Sliver Metallic Paintwork, Black Artico, Black Ash Wood, Sport Pack, Power fold mirrors, Lumber Seats, Main Dealer Sourced, 1 Owner, 7 Service Records (@ Mercedes! ), 2018 Service, April 2018 Front Brake Discs & Pads Replaced, February 2020 MOT, I'M READY FOR SAME DAY DRIVE AWAY!